Finding quality Bridgeport window cleaning is simple when you call Building Pro Commercial Cleaning Services LLC. We've been removing dust and dirt from Bridgeport, New Jersey area windows since 1993. We can clean most types of windows. Call Building Pro Commercial Cleaning Services LLC today for your Bridgeport window cleaning and see why we have a spotless reputation! 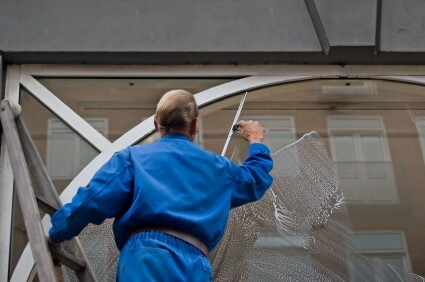 First, you'll receive a fair and competitive estimate for your Bridgeport window cleaning project. Next, we'll scrub dirt and grime from your window panes. We'll then clean your screens and wipe down the sills. Excess water will be removed from your windows with a squeegee. The end result is a spotless, sparkling clean window! You name it! We love cleaning windows in Bridgeport!